Prevention is the most effective method to ensure the integrity and continued operation of your concrete silos. Regular maintenance and inspections can increase the life of your concrete silo and ensure the safety of those working around your structures. It is recommended that you conduct inspections at two- to five-year intervals to help identify any issues that could lead to structural failure. Concrete silo inspection examines the main aspects known to be potential areas of failure. This inspection includes the foundations, walls, cones, discharge configuration, floors, shelves, tunnels, and roofs. Routine inspections can prevent collapse of your concrete silo structure and considerable downtime of operations. Collapses are often the result of preventable structural failures that would have been identified during an inspection. A few of the common causes of concrete structure and concrete silo failure include foundation deterioration, roof collapse due to roof beam structural issues, improper material filling and unloading procedures in silos, silo wall delamination or deterioration and silo discharge cone or bin floor issues. Steel silo collapses are typically caused by corrosion, rain, humidity and high winds. Marietta Silos and its new mobile staging trailer can come directly to your location at a time that is convenient for you and conduct a top to bottom concrete silo inspection. The trailer is equipped with instrumentation, tools and support equipment needed in the field to ensure the safety and efficiency of our field crews. Materials and equipment meet the OSHA Confined Space Standard 29 CFR 1910.146 as well as equipment for emergency retrieval to conform to OSHA confined space requirements. A thorough inspection will examine the silo interior, silo exterior, and the roof. Following your inspection results, preventative maintenance and repair can be performed to avoid more costly repairs down the road. Routine third-party inspections, preventative maintenance and knowledgeable repair companies are the best way to manage safety and continued operations. Most structural issues can be corrected if caught early enough. 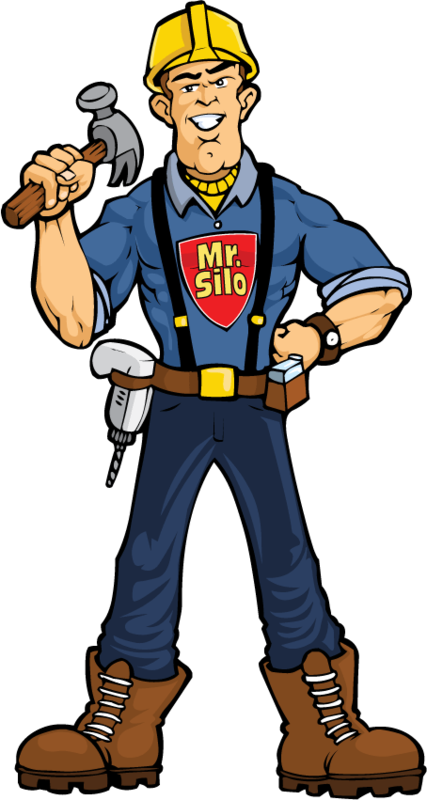 Contact Marietta Silos at 800-633-9969 if you are ready to schedule your next steel or concrete silo inspection.